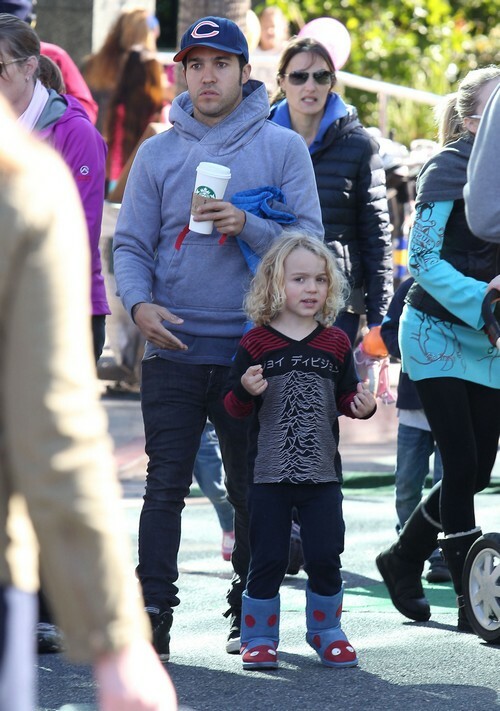 Pete Wentz is gearing up to file for custody of his son, Bronx, after noticing how wild Ashlee Simpson has been acting. The troubled singer has put clubbing and heavily drinking as her main priority which has raised a few eyebrows in the Simpson family yet no one has voiced their opinion on it except Pete. Wentz is worried that his mom’s constant partying is going to have an effect on his son’s health and well-being, Ashlee has been spiraling out of control and though Pete and her have remained in close contact for the sake of their children, Ashlee doesn’t even bother to phone Pete up when he’s spending time with his son for some days. The rock star is very much concerned about this issue, it’s bothering him so much that he has reached out to Ashlee’s mother, Tina, in hopes that she can make her daughter realize that her behavior is starting to become too much. Tina, who is still struggling to come to terms with her ex-husband’s file for divorce, plans on sitting down with Pete and Ashlee so that they can discuss their problems and come to some kind of resolution, because though Pete threatens to get custody, Tina hopes the two will come to some kind of agreement. Ashlee, we hope you get your act together because nobody wants to see a mother lose her child over her crazy partying. Get your act together! !